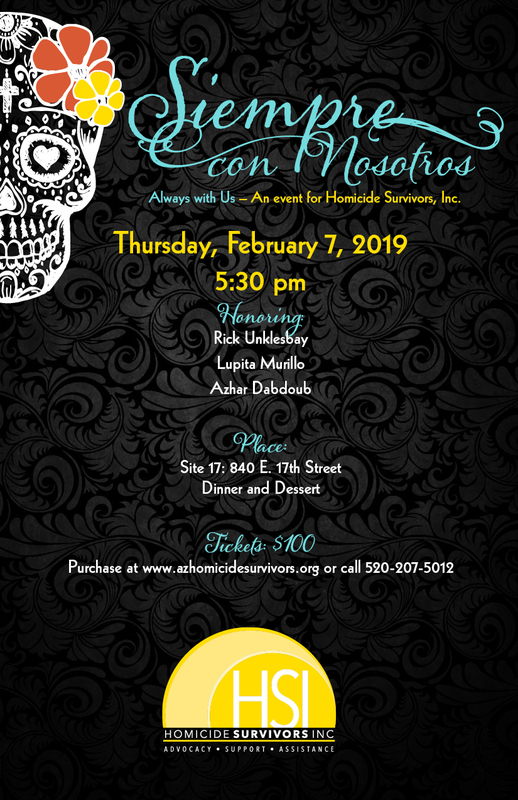 Homicide Survivors, Inc. is holding it’s signature fundraising event, Siempre con Nosotros (Always with Us) on February 7th at 5:0 pm at Site 17 in Tucson. Café a la Cart is catering and there will be performances by Mariachi and the Cuban Guys. There will be live and silent auctions, a photo booth, etc. 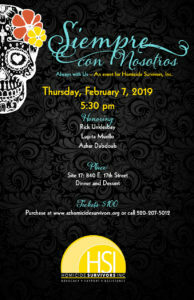 For more information or to purchase tickets visit azhomicidesurvivors.org.